Hey babes! Hope your 2016 has been nothing short of an amazing and refreshing start. For me, I’ve gotten into the groove of a sweet routine that consists of a lot more hot yoga, sheet face masks, new cooking recipes, and even a trip to the spa that I was able to slip in last weekend! Other than being more attentive to my skin and health, I’ve also rotated in some new lippies that I am OBSESSED with. 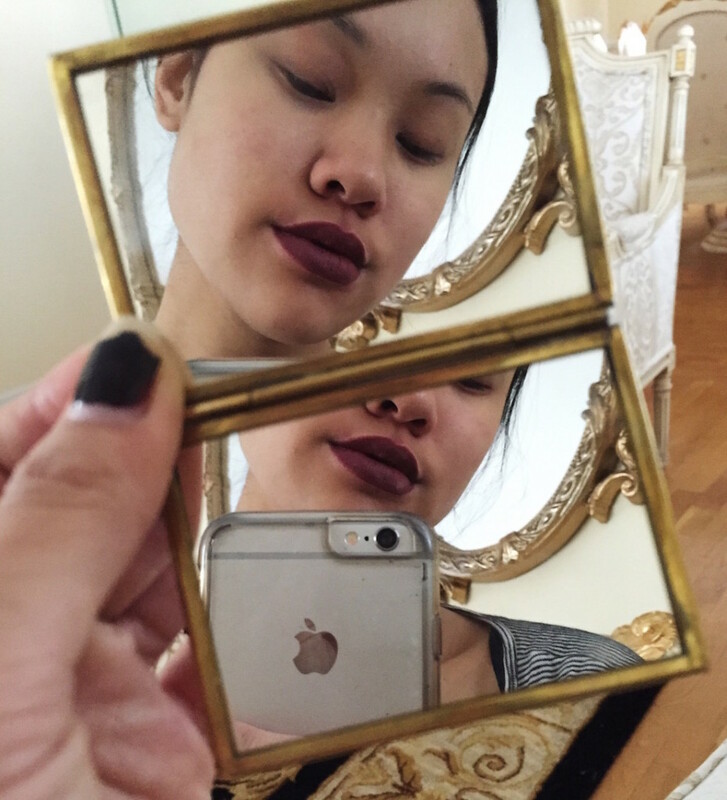 Shoutout to my brother’s beauty blogger girlfriend, Mary Jucel, for gifting me ColourPop’s Mini Kit in Foxy. FYI I actually spotted Mary wearing a Kylie Jenner look-alike in ColourPop’s Beeper on her Insta and planned to make my own purchase, but she beat me to it and gave me the chance to try an array of colors in one kit! These lippies are ULTRA matte and dry super quick. No mess, no problem. They are LONG lasting. They’ve literally gotten me through a night of drinking with maybe a second application, if I remember. They are pigment-rich AF. Like color intensity on FLEEK, so 1-2 swipes total is honestly sufficient enough. 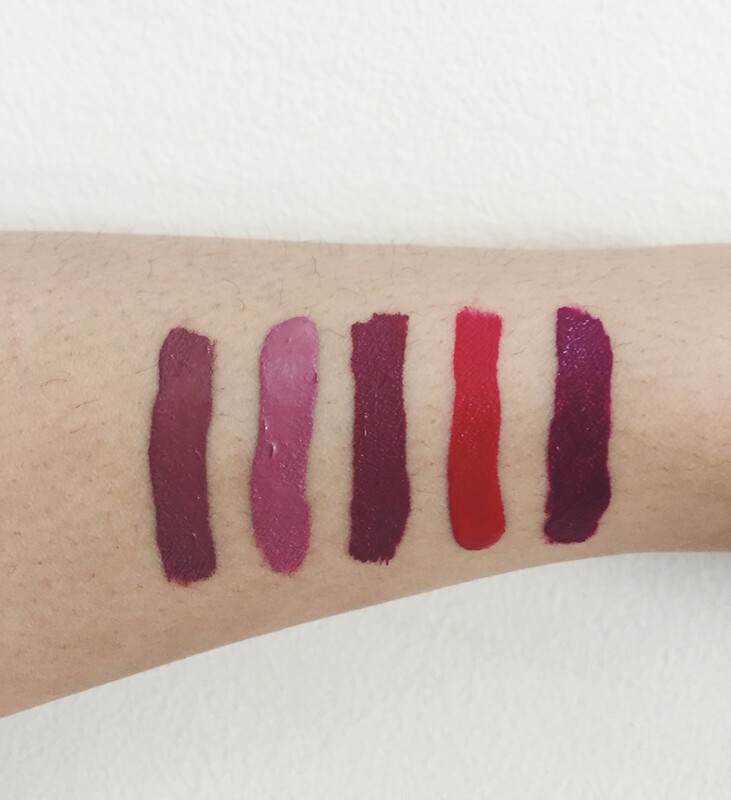 From left to right, the mini kit includes Beeper (warm taupe), Clueless (dusty mauve pink), Tulle (dusty mauve burgundy), Creeper (true blue red), and More Better (deep violet wine). Each of these babies comes in a very portable .035 OZ tube – small enough to fit in your pocket. Why I think this mini kit is worth the $20 is because the formula is so pigmented, requires only a swipe or two, and literally lasts me a whole night out, therefore I’m certain I won’t be finishing these lippies anytime soon! Currently, my favorite shade is Tulle (depicted in picture above) because it compliments my skin nicely and consistently works well with my usual black winged tip eye makeup. What I also really enjoy about the product is how lightweight and smooth the formula is, so it feels like I’m doing very little work to spread when I rub my lips together. As with any tough matte lip stain, it gets a bit tricky when applying and working with the lip line. However this can easily be avoided with an initial application of lip liner. Additionally, they are a bit difficult to remove, and you really can’t get away by rubbing it off with water and a towel. Instead, I found that coconut oil was the fastest and easiest solution, which I highly advise. VERDICT: I absolutely recommend! 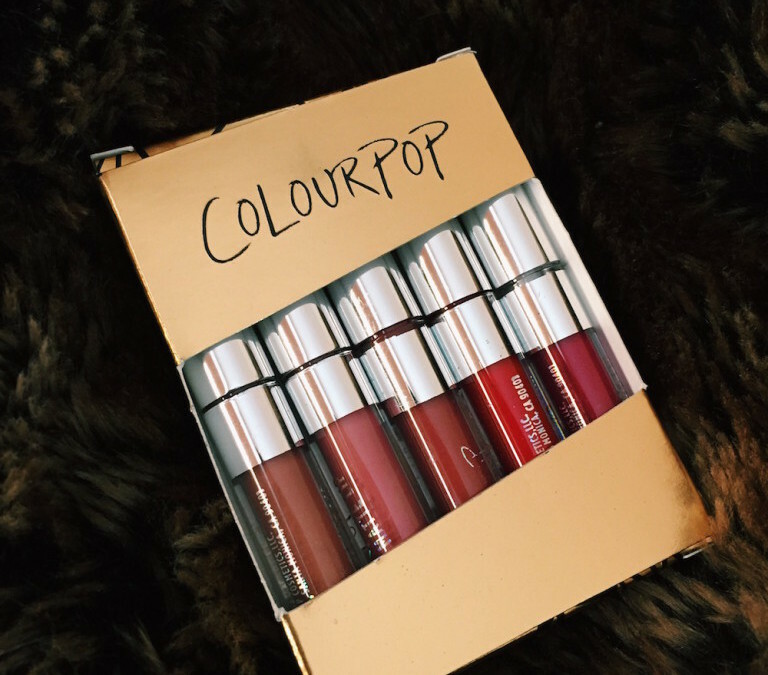 Not only does ColourPop’s Mini Kit make an awesome gift, but it’s a great way to sample a variety of shades without having to purchase each one individually – especially being that they are only sold online on ColourPop.com. These lip stains are affordable, long-lasting, and even make for a Kylie Jenner substitute if you’re not willing to spend $10K on Ebay for the real thing (HA! ), says PopSugar.